A compact plastic base for use with 7.5', 8', and 9' umbrellas. 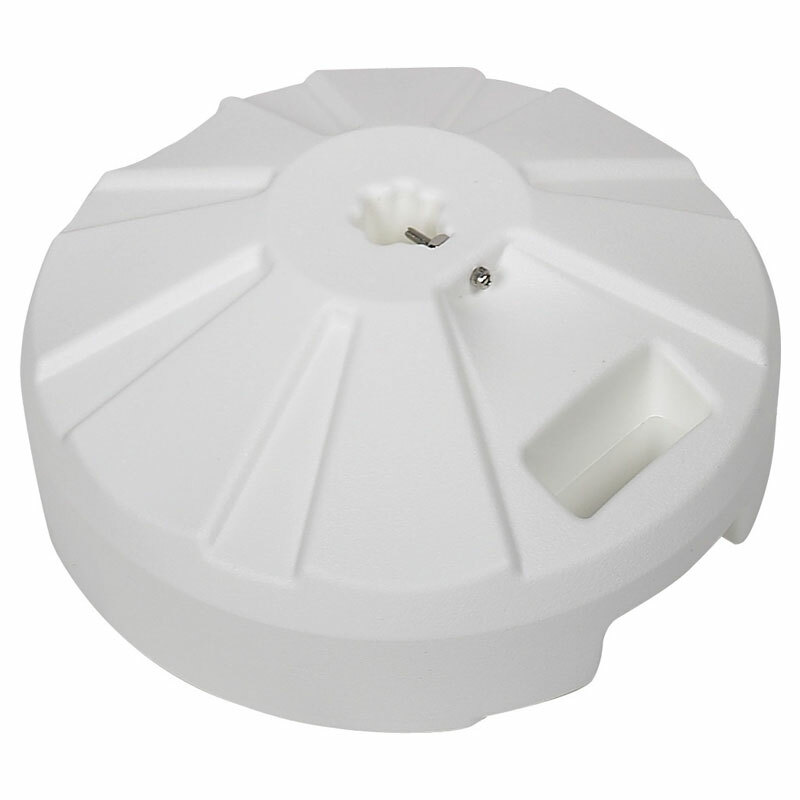 The plastic constructed base also accommodates a 1.5" pole. The compact shape of the base works well under most tables. Includes molded handle.